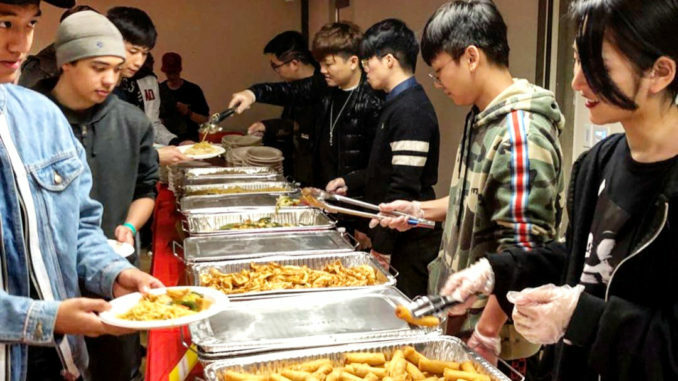 On Friday, Feb. 1, from 6 p.m. to 9 p.m. the Chinese Student Association, or CSA, hosted its annual Lunar New Year Celebration in the Student Union cafeteria. The event was open to the public. The tickets were sold at seven dollars each, and children under five got in free. The event included food such as fried rice, fried noodles, tofu, fried dumplings and spring rolls. It also included performances such as Lion Dance, singing, dancing and a magic show, along with performances featuring a Guzheng, a traditional Chinese instrument. The Lunar New Year, or Spring Festival, is a holiday that celebrates the beginning of a new year on the traditional Chinese calendar. The origin of Lunar New Year is known to show honor and love to deities and ancestors. It is also one of the world’s most prominent and celebrated festivals and is the reason for the largest annual mass human migration in the world. It’s celebrated throughout mainland China, Hong Kong, Taiwan, Macau, Singapore, Thailand, the Philippines, Indonesia and many other countries. Aaron Zhen, one of the CSA officers who volunteered at the event said, “The performance was good. My favorite part [of the event] was the magic show, and I love the dancing show because they are a professional dancing group.” As a CSA officer, Zhen helped organize the event and decorated the cafeteria to be more festive. “Back at home in China, we cook dumplings, watch lion dance and enjoy fireworks to celebrate Lunar New Year,” Zhen added. The event ended earlier than expected. Unica Le, who participated, said after the event “I like the magic show because I do not really see magic that often; it was very nice to see up front. I also enjoyed the rap, the lion dance and other classic dance. But what I enjoyed the most is actually connecting with people and speaking Chinese with others. It was a very enjoyable experience overall.” “I would probably do it again next year because I enjoyed this experience and had a lot of fun connecting with people,” Le added. The Watchdog wishes everyone a happy Lunar New Year.